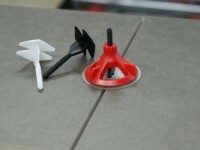 eBlueJay: Spin Doctor Tile Leveling System 250 Kit, Tile Leveling System 1/16"
Spin Doctor Tile Leveling System 250 Kit, Tile Leveling System 1/16"
Kit includes: 100 Caps (reusable), 250 Base plates. 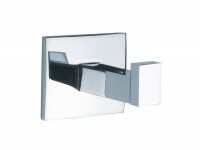 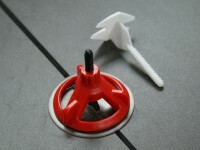 Available Spacer Post Sizes, 1/16″ (White) and 1/8″ (Black). 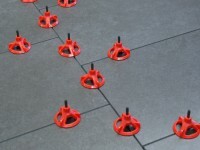 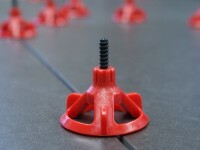 Spacer post determine grout line size. 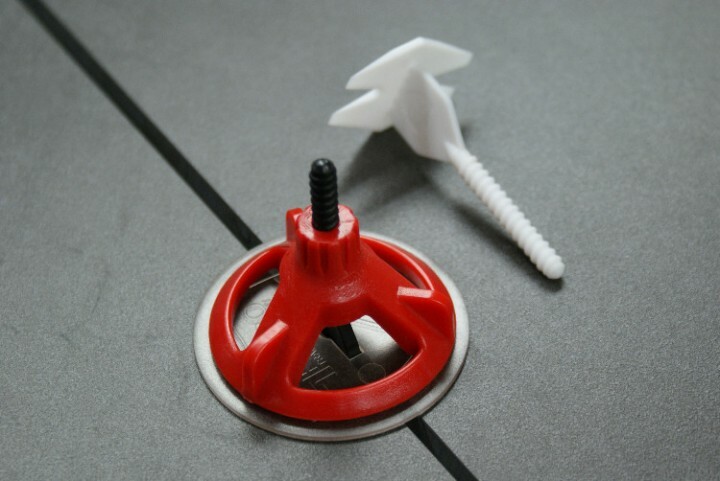 Spin Doctor is quicker and more easily used by first time installers and seasoned pros alike and allows you to install large format tiles quickly an accurately. 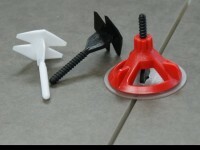 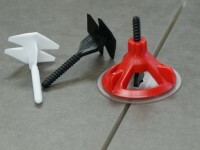 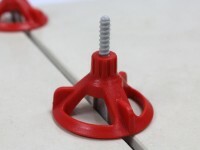 The Spin Doctor Tile Leveling System utilizes three easy to use components: Rotating Cap, Threaded Spacer Post, and (optional) Anti-Friction Shield.